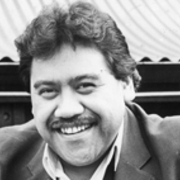 Billy T James ranks as a key figure in the development of Kiwi comedy. Billy honed his talents as a singer and comedian on stages worldwide, then brought them to a local TV audience on throwback show Radio Times. His self-titled comedy show was a major ratings hit. His turn as the Tainuia kid in Came a Hot Friday is still fondly remembered — as is Billy T's infectious chuckle, black singlet and yellow towel.